A double-storey 1200 sq.ft. 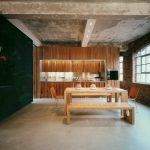 penthouse apartment with large roof terrace, within a converted Victorian warehouse in the Shoreditch Conservation Area in Hackney. 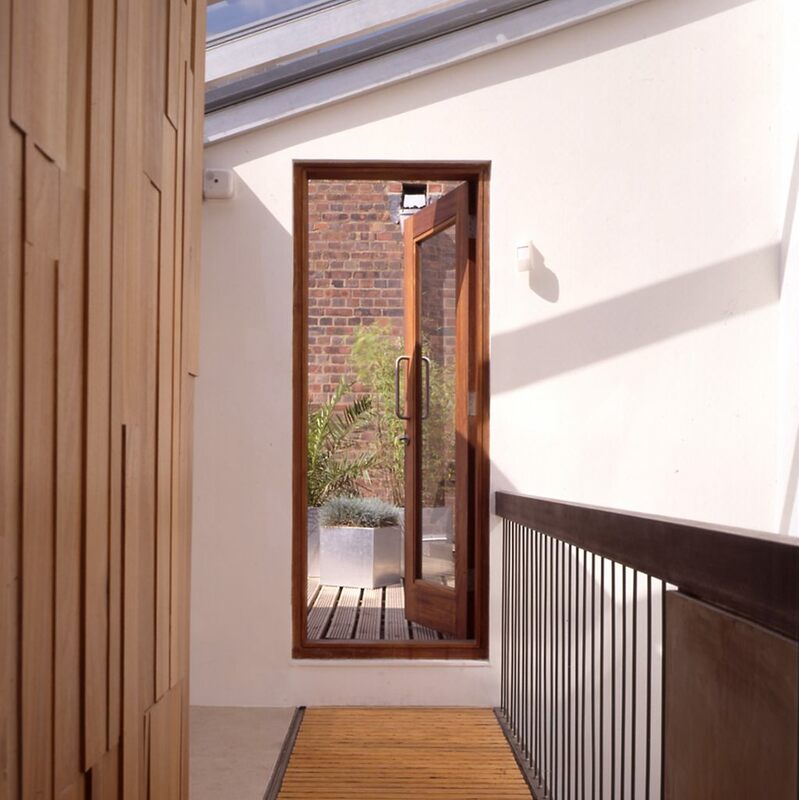 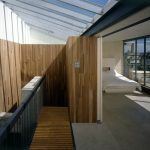 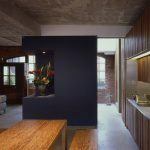 The rooftop extension with sky-lit double-height circulation brings natural light deep into the living area, highlighted by a textured wall faced in of iroko timber off-cuts extending into the main space and kitchen.